The passerelle, an elevated staff walkway that provides a shortcut between two of the buildings. 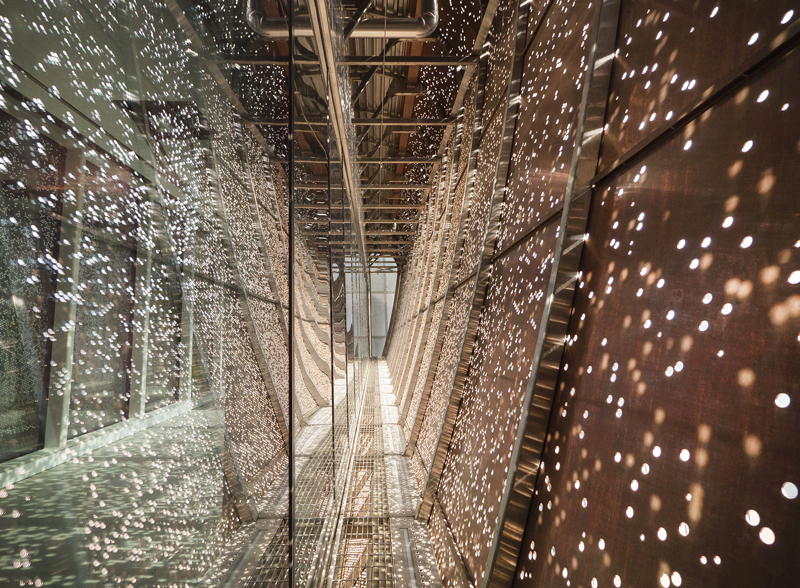 For staffers, its walls project a constellation of pinpoint light by day, from the outside in. At night, it’s the reverse: interior artificial lighting projects dots of light to passers-by below.